Fourteen-year-old Archie is a Geek to his core. Then a Beautiful Girl appears in his Geeky world… Despite the fact that the closest he’s come to an encounter with a girl is painting an Elven miniature, Archie embarks on a Daring Quest to win her heart. 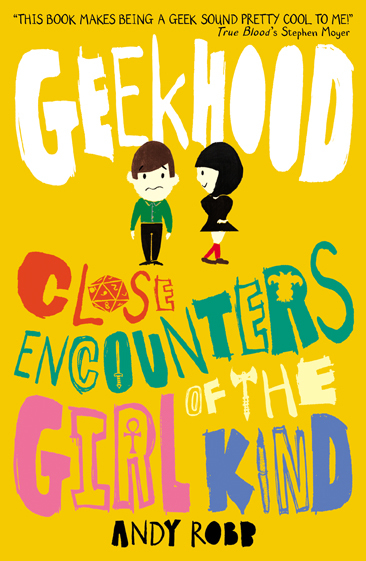 Geek meets girl … what could possibly go right? 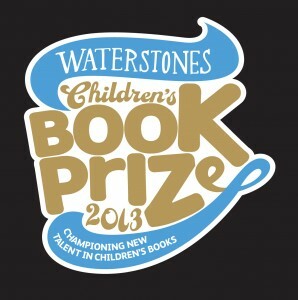 This is the first of the Geekhood books and it found its way on to the shortlist of the Waterstones Children’s Book Prize 2013. 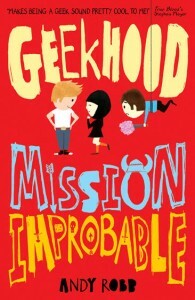 It’s picked up some lovely reviews and is for anyone who’s ever had a Geeky tendency or two. Plus, it’s not just for teens; if you ever rolled a D20 in your youth, then I hope this brings the wacky world of RPGs and tabletop gaming back to you in glorious Technicolor! Archie is a Geek to his core – and despite having a Close Encounter with Sarah at the beginning of term, he’s still completely clueless about girls. Enter Clare – an older woman (she’s sixteen) who Archie meets on his weekend trip to see his dad and his nightmare step-mum, Jane. Clare and Archie hit it off – and she’s got a brilliant, foolproof way to get their crushes to notice them: pretend to be going out with one another! What can possibly go wrong? In the midst of school, getting Sarah to forgive him and dealing with his insane family, Archie and his mates step-up the nerdiness and go Live Action Role-play gaming. Ladies and gentlemen, we are entering a new era..
.The second book in the Geekhood series takes a look at LARP… Think Dungeons and Dragons – but for real! Published in April 2013, the book’s already chalked-up some critical acclaim so, if you can handle Geekhood at Warp Speed, then dive on in. If you’ve enjoyed either of these books, please plonk me a up a little review on Amazon.co.uk – it’s all in the Geeky cause!